Aleksander Orlowski, Polish painter active at the end of Polish-Lithuanian Commonwealth and later in the Russian Empire, is one of my favorites when comes to the end of XVIII century and early XIX century. 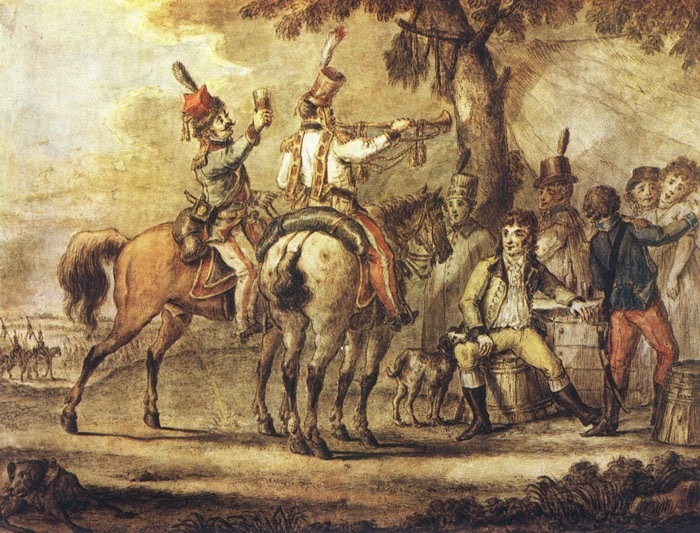 During the early stages of his career he took part as a soldier in the Kościuszko Insurrection, and we have some of the most realistic depictions of the patriots camps and military life, and battles etc. Example below, showing cavalrymen and Insurrectionists camp in general. Details of uniforms, horse tack or even a dog living with the soldiers. I have one small album with his works, and would love to have a comprehensive album gathering most of his existing works. 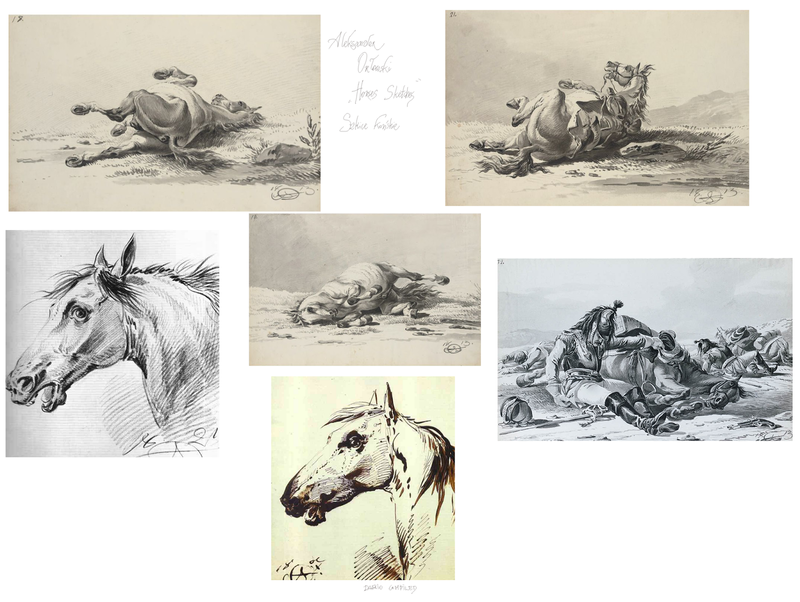 Orłowski drew plenty of animated drawings showing horses in distress and fallen, as well as quick horse portraits, so here I created a compilation, for your enjoyment, I hope, of some drawings. Very interesting article on making a working replica of a medieval saddle, and links to two more articles on this extraordinary subject, from The Jousting Life.